What is a little snow in the long run? Waves of migratory birds are washing upon our shores. 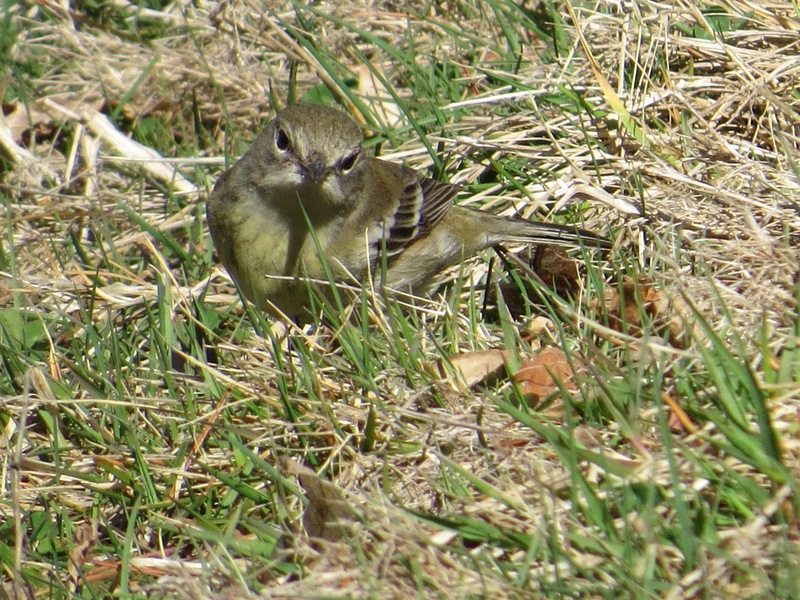 This weekend, little flocks of Golden-crowned Kinglets, chortling Northern Flickers, tail-snapping Phoebes who make you wonder what they’re catching, but then, the early insects are out, too. And the warblers: Pine Warbler (Setophaga pinus). Yes, they can be a lot yellower, and yes, they’re often found in their namesake trees, but this plain one was where the action was. 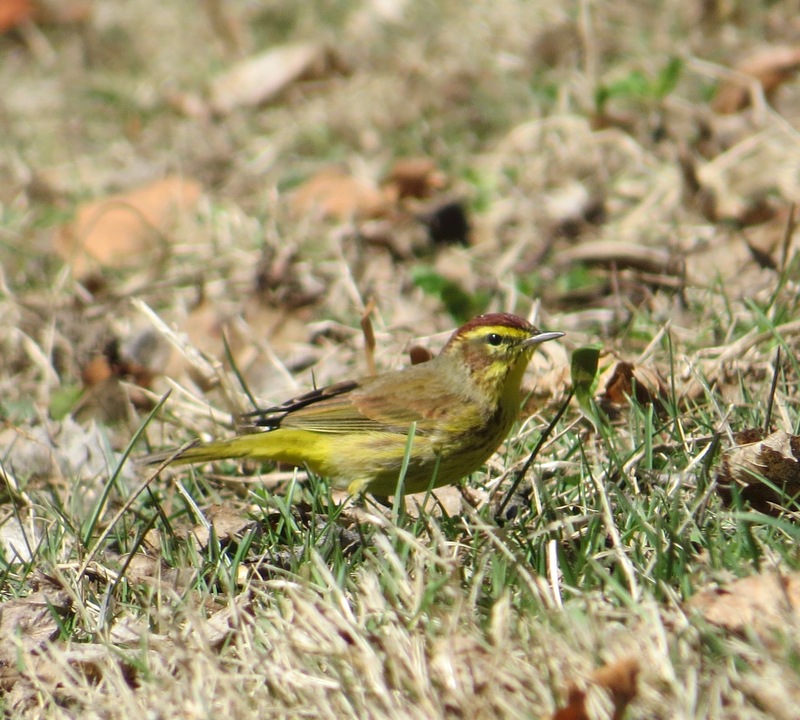 Palm Warbler (Setophaga palmarum). One of a trio, foraging together. 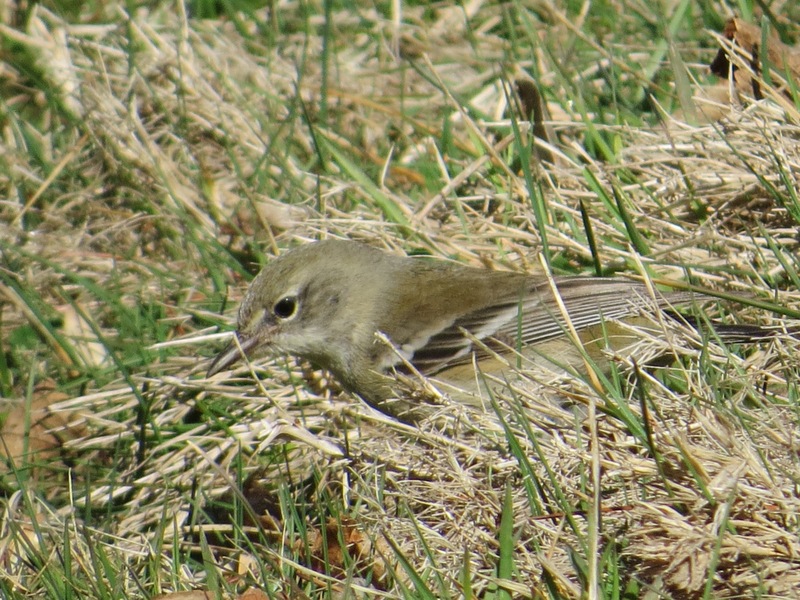 This was, according to Ebird, a lot for the date and place (Green-Wood, Saturday). These two species winter in the southeastern U.S and the Caribbean, with some Palms going to the tropical edge of Central America. 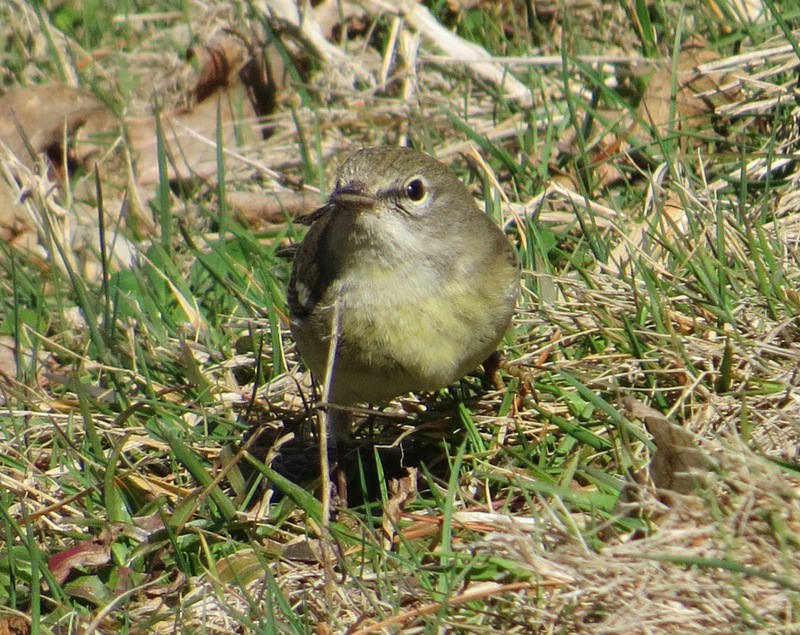 Since these species have some of the shortest distances to travel to get here (and further north), they are some of our easiest warbler arrivals.